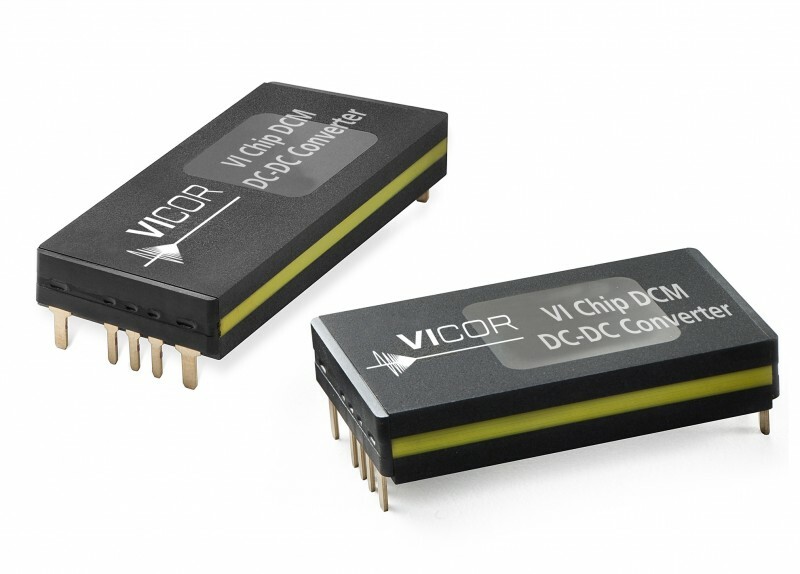 Vicor has added 25 new products to its family of DC-DC converter modules (DCMs) with tighter output voltage regulation of ±1%. With high power densities of 1,032 W/inches-squared, the new series allows engineers to drive loads requiring tighter regulation with minimal additional circuitry or downstream components. The DCM ChiP (Converter housed in Package) is a DC-DC converter module that operates from an unregulated, wide range input to generate an isolated, regulated DC output. With its high frequency zero-voltage switching (ZVS) topology, the DCM converter consistently delivers high efficiency across its entire input voltage range. The new DCMs are used broadly across defense and industrial applications that require tighter output voltage regulation. These applications include UAV, ground vehicle, radar, transportation and industrial controls. The DCM ChiPs are available in M-grade, which can perform at temperatures as low as -55°C.